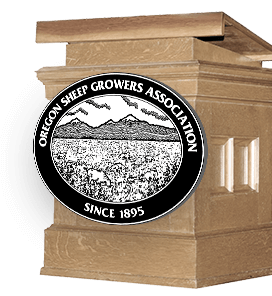 In an effort to promote Oregon’s sheep industry and provide educational opportunities for students majoring in agriculture-related fields of study, the Oregon Sheep Growers Association offers a scholarship award of up to $1,500.00 to qualified students. The award is intended to assist with direct educational expenses, such as tuition, books or academic fees. Applicants must be Oregon residents. Recipient is not required to attend an Oregon college or university. Academic standing must be sophomore level or above. Graduate students are eligible. Recipient must be majoring in an agriculture-related field of study, agricultural sciences, or veterinary medicine, with a career interest in the sheep industry. Applications for the next academic year must be submitted to OSGA by July 15th of the current year. The scholarship recipient is selected by committee and the award will be presented during the fall. The award check will be made payable to the successful applicant and the educational institution which he or she is attending. Registration must be received by April 15, 2019. Participants will learn how to handle the sheep, lay out and pick fleeces, use and care for shearing equipment and how to disinfect and suture nicks and cuts to the animal should they happen. Students come away from the school with a certificate of completion and the go-ahead to shear small flocks for hire. Class size is limited and fills very quickly, so register early. All fees must be paid in advance. Participants will need to provide their own housing and meals. Registration confirmation packets will provide camping/hotel information. There is no age requirement for students, but they must be mature enough to handle full grown ewes in the shearing process. Lambing (the birth of lambs) is a critical time for sheep farms. It is the culmination of months of feeding and care for ewes. A vigorous, healthy lamb means the process was successful. Eighty percent of lamb losses occur during the first 10 days of life and good shepherding helps to reduce these losses. Lambs can suffer from starvation, hypoxia (lack of oxygen) due to a difficult birth, or low body temperature due to cold conditions. Oregon lambing schools began in 1984 at sheep operations near the towns of McMinnville and Turner. The schools were initiated by Gene Streight, agriculture instructor at Chemeketa Community College and Gene Pirelli, Oregon State University Department of Animal Sciences. Dr. Don Hansen, OSU Extension Veterinarian was the third member of the original lambing school instruction team. When Gene Streight retired from Chemeketa Community College in 1990, Jim Thompson, OSU Extension Sheep Specialist joined the group as one of the instructors. Dr. Charles Estill replaced Dr. Hansen upon his retirement in 2007 as Extension Veterinarian and a lambing school instructor. Oregon Sheep Grower Association (OSGA) members were instrumental in making the lambing schools a successful program. Charlie Sitton, a member of OSGA, hosted the first lambing school at his 1200 ewe operation near McMinnville. John Fitzpatrick, formerly with OSU Extension, hosted the Turner school at his sheep farm. From 1987 to 1998, OSU Extension faculty Randy Mills and Bill Broderick had a lambing school at the Kreb’s Ranch at the invitation of Clint, Maureen, Skye and Penny Krebs, also OSGA members. With the assistance of other OSGA members, lambing schools sprung up in Douglas County at the Steve Trout ranch, in Coos County and at the OSU Sheep Center in Corvallis. Amy Peters and Shelby Filley, OSU Extension Faculty organized the Douglas and Coos County schools. Jim Thompson organized the OSU Sheep Center program. The Turner location was discontinued after several years as were the other statewide locations, however the school at the Sitton operation continued with the assistance of Lester, Allen and Eva Sitton. This school ceased in 2010 due to low attendance. 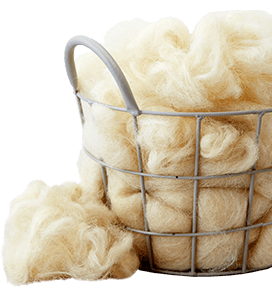 It is estimated that well over 600 experienced and novice sheep producers attended an Oregon lambing school during the 26-year period. 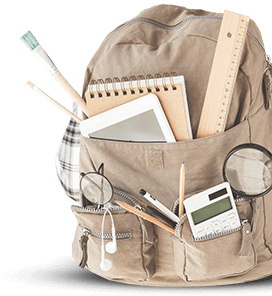 In 2012, the Oregon Sheep Growers Association expressed interest in starting the school again. So in 2013, the OSGA/OSU lambing schools began the second phase of lambing school history at Mont Alto Ranch in Glide, OR. OSGA member John Fine organized the “new” lambing school along with Ernie and Toni Kahle, ranch managers. Instructors at the OSGA/OSU school included John Fine, Dr. Paul Bailey, Gene Pirelli, Ernie and Toni Kahle (until their retirement in 2017) and new ranch manager, Josh Sutch. So, what goes on at a lambing school? The school is held at a sheep operation during lambing time so the participants get the full lambing experience. At one time there were up to 3 schools at a location. It is limited to 8 to 14 students (depending on the location) who range in both age and level of sheep experience. These “students” are treated to a combination of hands-on practices and sit-down discussion. Obstetrics, assisting the birth of lambs, is a primary part of the lambing school. 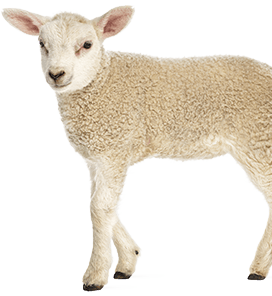 Most ewes deliver lambs with no problems, however, sheep can have multiple offspring ranging from two to five in number. Therefore, there is a greater chance for one lamb not to be aligned correctly and have difficulty being born. Participants learn techniques to solve these problems quickly to increase the number of lambs born alive and healthy. Other hands-on practices are vaccinations, condition scoring, “tubing” a lamb (giving it milk when it is too weak to nurse) and the proper way to hold sheep. Discussion portions of the school cover lamb survival, sheep health and nutrition. Yes, we had lambing schools. And it was fun! OSGA’s Annual Convention is a learning experience designed to assist producers with current educational programs, issue-related discussions, an occasional field tour, plus the opportunity to simply enjoy the company of fellow producers — often over an excellent lamb dinner. Experience producers, university staff and professionals in various fields are sought as convention speakers; however, networking is generally described as the most valuable feature of the convention. New producers are always welcome to attend and are encouraged to bring their questions. Experienced producers have the chance to share the ideas that have worked best for them, as well as the shortcuts they have learned through the years. These are worthwhile lessons that a beginning producer cannot duplicate anywhere else. OSGA’s Annual Convention is generally held the first or second weekend in December. For information, sign up to receive OSGA’s electronic newsletter.